Don’t you just love little meatballs? I don’t eat much meat anymore but one thing I have a hard time saying no to are little meatballs and hot dogs! They are usually very sweet and delicious. 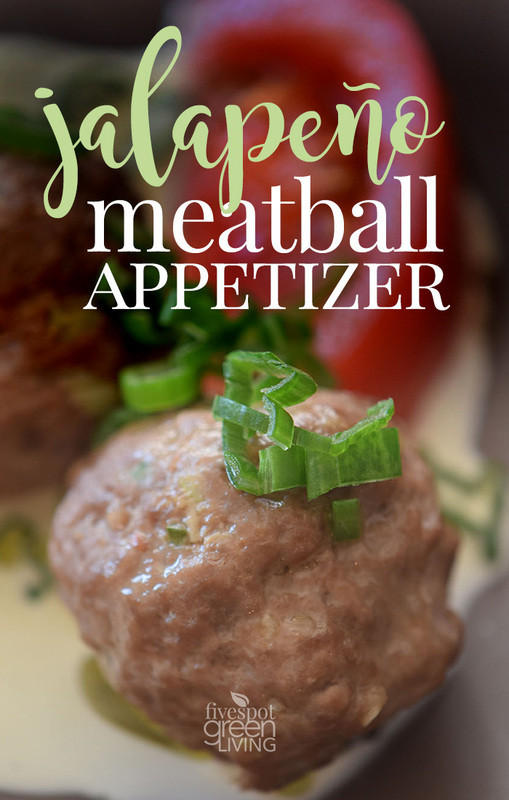 This Jalapeño Meatball Appetizer Recipe is one that doesn’t disappoint. 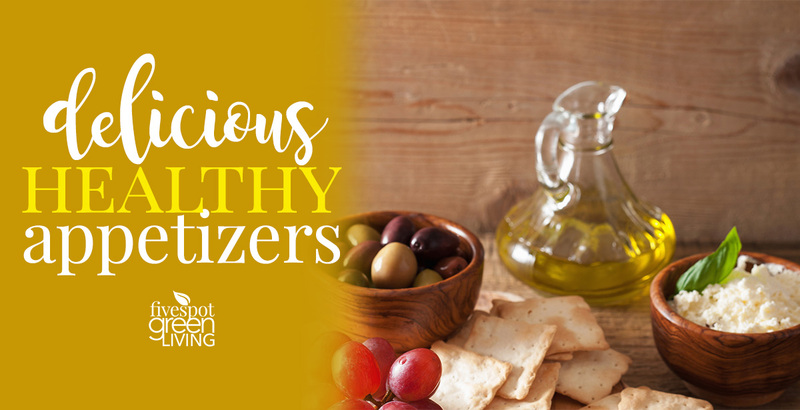 When you are looking for healthy appetizers for a special dinner or your next party, these babies are the ticket! These meatballs are a little on the hot side, obviously. You can go easy on the jalapeños, or you can serve them with extra cream to keep the spiciness a little subdued. Removing the seeds and membrane will reduce but not eliminate the heat. Cooking will only spread it out evenly in the dish you’re preparing. 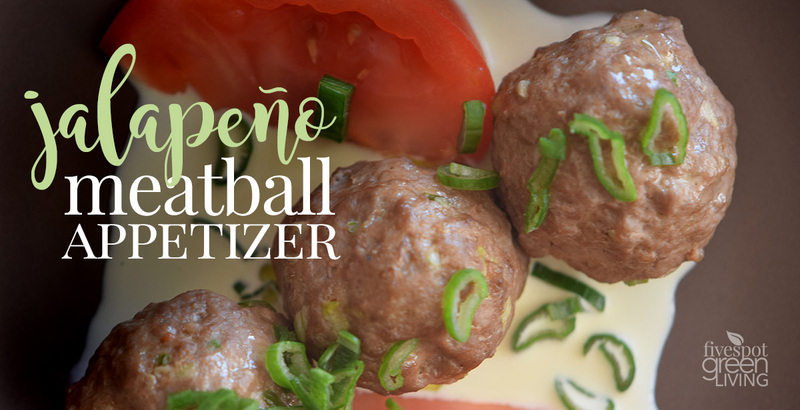 Here are some ways to reduce the heat component of the jalapeños but retain flavor in the meatballs. Line pan with foil and cooking spray. Mix the onion, garlic, jalapeños, and seasonings in a large bowl. Add the ground turkey and mix well using the hands. 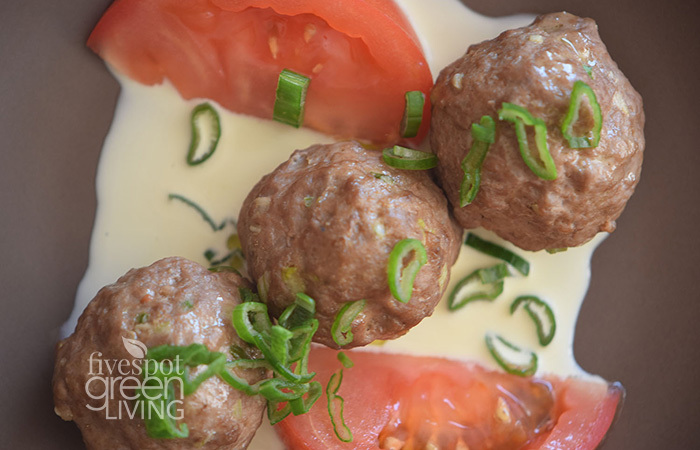 Shape ground turkey into 15 2-inch meatballs. 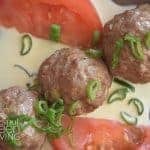 Coat meatballs with the beaten eggs. Place in the pan and bake uncovered for 25 minutes or until meat is done. Add cream to bottom of dish and put in meatballs. Garnish with tomato slices on the sides and green onion on top.